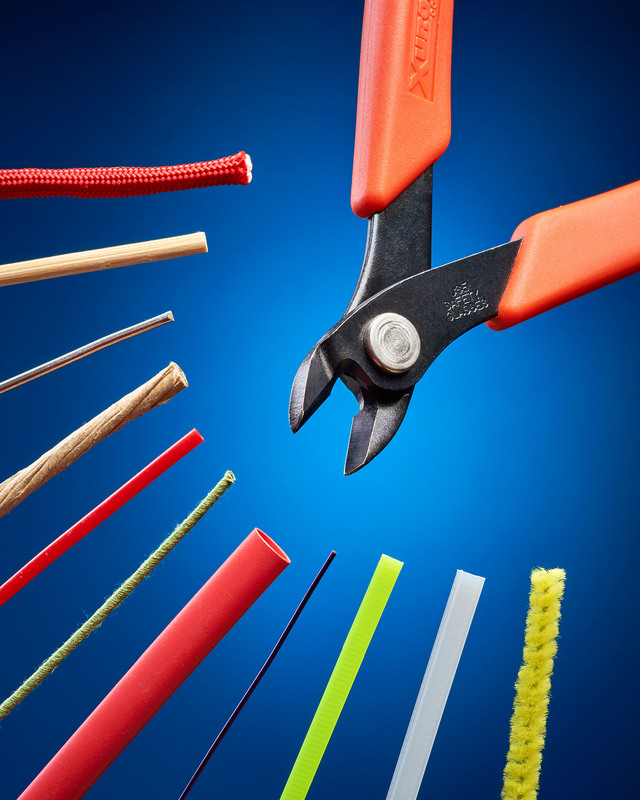 A durable flush cutter that employs by-pass cutting which makes it ideal for cleanly trimming a broad range of materials including cane, cord, lead, plastic, and soft wires, is available from Xuron Corp. of Saco, Maine. Designed for cutting materials up to 2mm, the Xuron® Model 2175 Maxi-Shear™ Flush Cutter is made from high carbon steel with a non-glare black finish, has soft rubber hand grips to provide a good feel, and Light Touch™ return springs. Applications include jewelry making, stained glass lead cutting, basket making, picture framing, floral wires, electronics, and more.